Both BJP and Congress seems to be exerting great power during this State Assembly Elections. After BJP brought their President Amit Shah to be a part of the road show in the city followed by UP Chief Minister Yogi Adityanath who addressed a gathering the next day, Congress, on the contrary, brought in Sachin Pilot and now is all planned to bring in Congress President Rahul Gandhi on 1st December 2018. 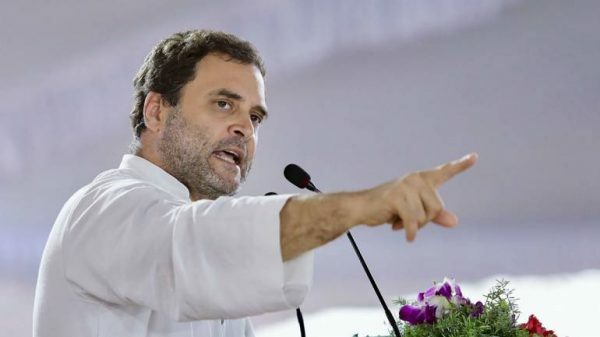 The AICC president Rahul Gandhi has already visited Ajmer dargah and Pushkar and addressed rallies at Jaisalmer, Jalore, and Jodhpur on Monday. Along with that, he is likely to visit Chittorgarh and Bhilwara as well. A ferocious competition can be expected between candidates of both the major political parties with State Home Minister Gulab Chand Kataria from BJP and ex-MP and former president of National Commission for Women of India, Girija Vyas from Congress. Do you have any feedback or suggestions for the article? Write to me at juhee@udaipurblog.com.